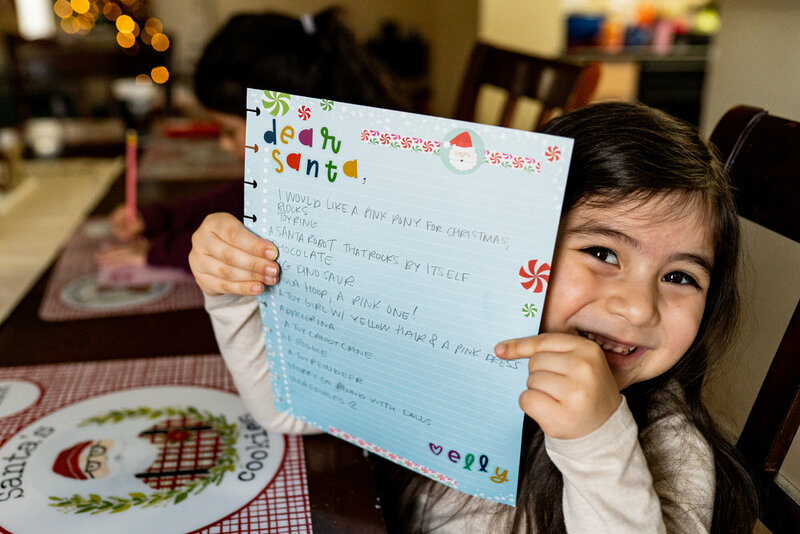 It’s the first weekend of December and that means it’s time to get those letters out to Santa! The girls are finally old enough to write a letter, so you know I busted out some Happy Planner® accessories for the job. 1. I kept it REAL simple with 3 BIG Happy Planner® Note Sheets and the Christmas Value *Pack* Sticker book. If you couldn’t get your hands on this sticker book, just grab any of the books that have Christmas stickers. There are so many to choose from, and it will turn out just as great! 2. Next, I picked a color for each kid (their favorite color) and chose a sticker theme to go along with their personality. After my first flip through of the Christmas book, I knew I wanted to use the multicolor and gold letters for something like this. These little cuties made it real easy to personalize both the top and bottom of the letters with “Dear Santa” and their name. 3. Then, I used sticker strips that matched the theme to cover up any of the sayings on the note sheets. These note sheets aren’t just for taking notes! 4. Lastly, I decorated the entire page! I started with the header and footer first and then embellished all around. That’s it! For Emmy, I chose pink, a little confetti, and Santa. She is such a bight, joyful, and sweet-as-candy girl who truly believes in Santa. It’s so cute seeing her soak up the magic of Christmas. For Enzo, I chose green and a gingerbread house theme. We aren’t sure what his favorite color is yet, but I thought this theme was super cute just like my little guy. I can’t wait to see more of his personality develop over the next year. He kept yelling, “Santa! HO HO HO!” when he saw his list. 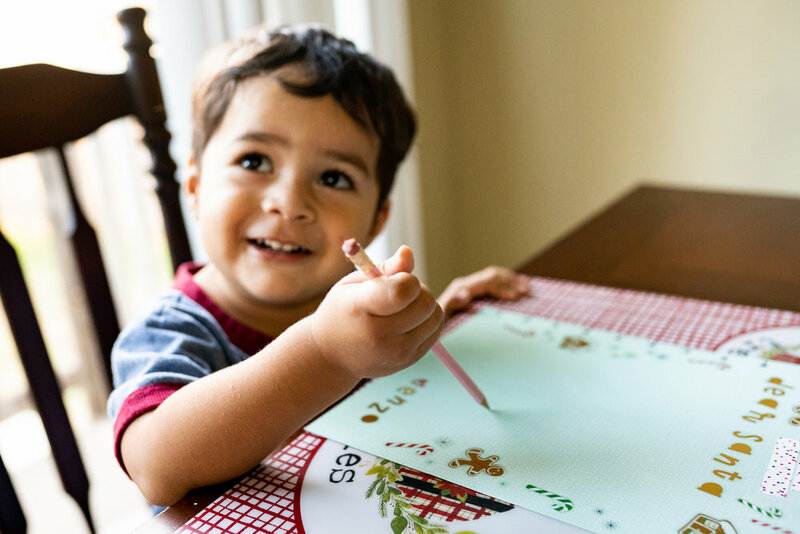 This is a such simple, quick way to make letters to Santa a little more special. I loved how they turned out! How would you make one for your cutie(s)? !